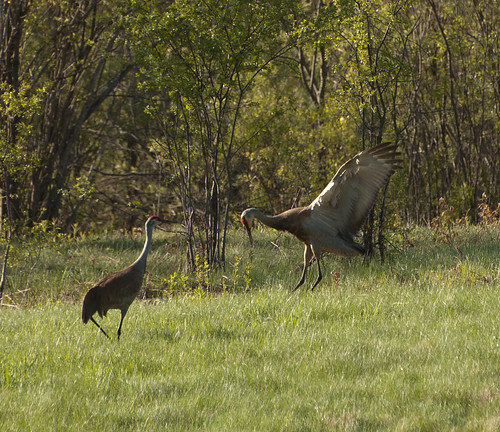 I had the wonderful experience of watching two sandhill cranes “dancing” earlier this month. I saw them in a field in Ontario and they couldn’t have cared less that I was there. The dance was so much fun to see – full of bowing, leaping, running. You could just feel the energy and joy of the dance. 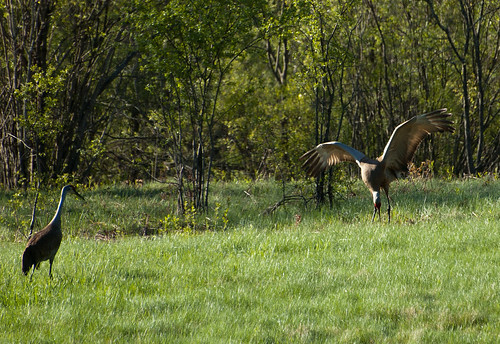 Cranes “dance” year round but it is also part of their mating ritual. 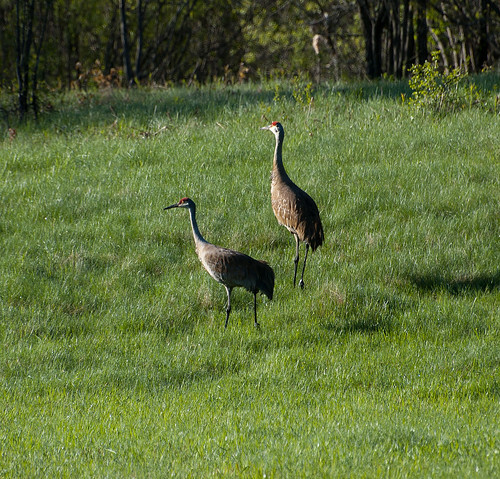 The cranes select a mate at age four and have been shown to remain with their mates for 25 or more years. 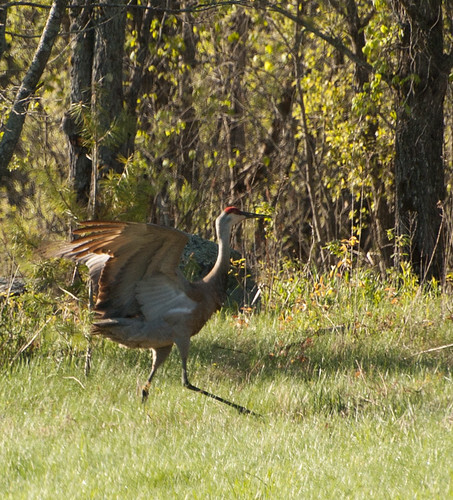 I think this may be a little different than just a bow, as the crane would sometimes touch the ground with its bill and other times would not. This entry was posted on 30 May 2013 by patacoate. 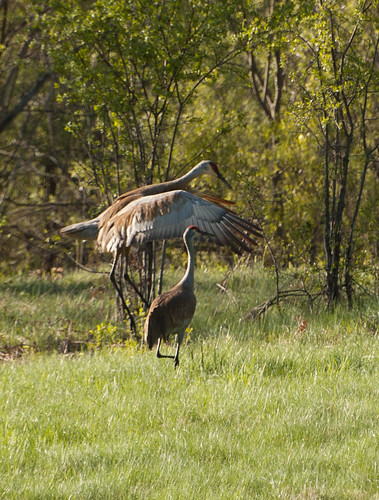 It was filed under iPhone and was tagged with dancing sandhill cranes, sandhill cranes. It’s fascinating what some birds do! 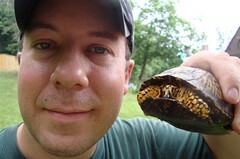 We also have a few of them around here, though I hear them more than I see them, and I’ve never seen them dancing. But their bugle-like call is amazing too. Love your blog.